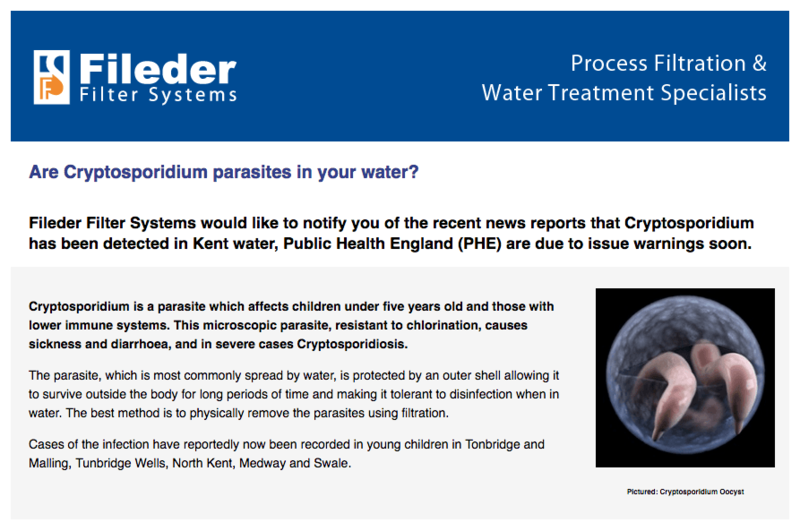 We have been advised by Fileder that parasites have been found in Kent water. “A parasitic disease which usually affects children under five years old has been detected in Kent leading Public Health England (PHE) to issue warnings. Cryptosporidium is a microscopic parasite resistant to chlorination which causes sickness and diarrhea, while not usually serious it can cause severe illness in those with a lowered immune system. A water filtration system is a quick, easy and cost effective way to ensure you are drinking safe water clear of parasites and other impurities.